édité le 23/03/2019 - Plus de news de "Murphy Oil Corporation" - Voir la fiche entreprise de "Murphy Oil Corporation"
Murphy Oil Corporation announced that a subsidiary has signed a sale and purchase agreement to divest the fully issued share capital of its two primary Malaysian subsidiaries, Murphy Sabah Oil Co., Ltd. and Murphy Sarawak Oil Co., Ltd., to a subsidiary of PTT Exploration and Production Public Company Limited (“PTTEP”). 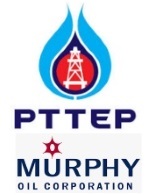 PTTEP will pay Murphy US$2.127 billion in an all-cash transaction, payable upon closing and subject to customary closing adjustments, plus up to a US$100 million bonus payment contingent upon certain future exploratory drilling results prior to October 2020. The transaction has an effective economic valuation date of January 1, 2019, with the closing expected to occur by the end of the second quarter 2019. Closing of the transaction is subject to customary conditions precedent including, among other things, necessary regulatory approvals. Under the terms of the transaction, Murphy will exit the country of Malaysia. The year-end 2018 proved reserves (1P) net to Murphy were 816 million barrels of oil equivalent (Mmboe) of which 16 percent or 129 Mmboe were attributable to Malaysia. Of the 129 Mmboe of proved reserves, 70 Mmboe are characterized as proved undeveloped. The proved reserves are comprised of 468 billion cubic feet (Bcf) of natural gas and 51 million barrels (Mmbbl) of liquids. Total production net to Murphy in 2018 for the properties to be divested was over 48,000 barrel of oil equivalent per day (Boepd), comprised of 62 percent liquids. Murphy Oil Corporation (NYSE: MUR) is a global independent oil and natural gas exploration and production company. The company’s diverse resource base includes production from North America onshore plays in the Eagle Ford Shale, Kaybob Duvernay and Montney, as well as offshore Gulf of Mexico, Canada and Southeast Asia. PTTEP is the E&P flagship of the PTT Group, Thailand’s national oil company. PTT Public Company Limited is one of ADNOC’s largest crude oil customers purchasing up to 100,000 barrels of various ADNOC crude grades per day and Thailand is the second largest economy in South-East Asia. Voir la fiche entreprise de "Murphy Oil Corporation"
Les dernières news de "Murphy Oil Corporation"